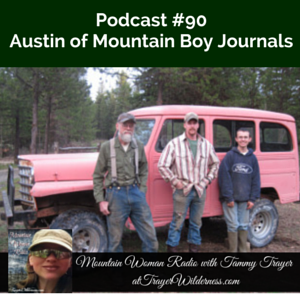 March 11th, 2015: In today’s show I do a couple shout outs to our audience members, answer some questions and for the 2nd half of my show I have the extreme privilege to interview our Mountain Boy, Austin of MountainBoyJournals.com. For more information on the supplements, diet and essential oils we have used with Austin visit our website and read What We Have Learned and Conquered With Autism. Join Austin on his YouTube Channel Mountain Boy Journals. Also you can find Austin right now as we mentioned in the 2015 American Frontiersman Magazine Issue #191.